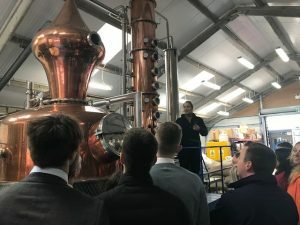 On Monday 3rd December, 17 Upper Sixth Form Business Studies students were treated to a visit behind the scenes of the hugely successful premium Gin producer, Silent Pool. 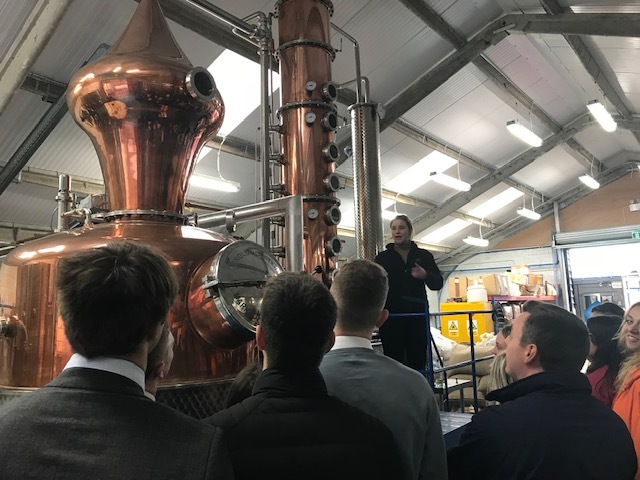 Located in Albury, alongside the Silent Pool itself (on the Albury Estate) we gained an insight into how the brand was founded and has developed, including the importance of its heritage. The students found the experience incredibly insightful as they understood the importance of their branding and the detail that has gone into the planning, including the aesthetics of the bottle itself. 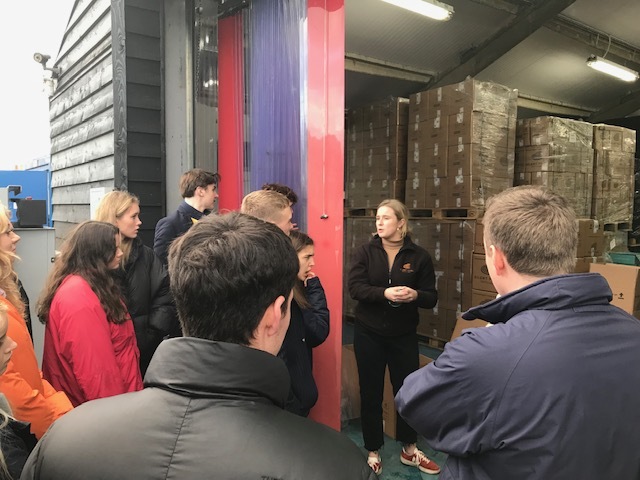 We were shown the site by two members of the founding team who were knowledgeable and passionate about the brand, explaining how the brand has developed and grown over the past four years. The rate at which the brand has grown has meant that it has recently invested in a new automated bottling production line which has drastically improved the efficiency of the bottling process. 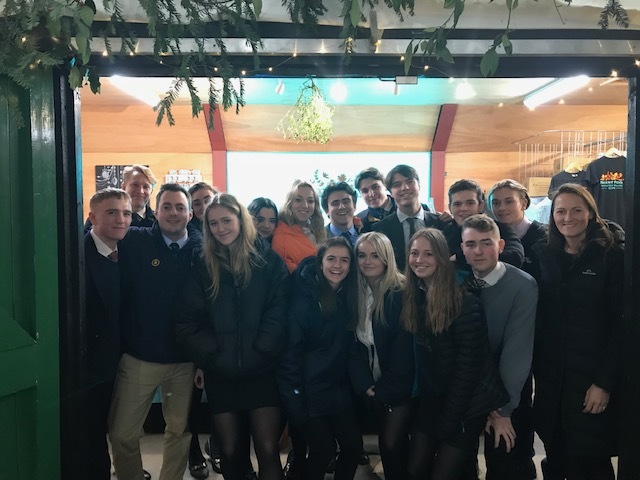 Students were fully engaged throughout and benefited from asking questions to Finance and Operations Manager, Sophie Best, and International Brand Ambassador, Lydia Sheil. We covered interesting questions regarding the training, development and motivation of staff, importance of sourcing, new growth markets, branding and of course the impact of the impending Brexit. 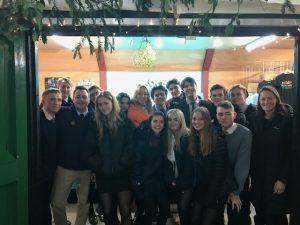 An incredibly worthwhile experience, the students were hugely grateful to the warm and informative experience we received and will gain a huge amount in their remaining year of study from applying the theory learnt in the classroom to a real life local example. Cranleigh School is committed to the safeguarding of children and child protection. Read more about our Safeguarding Policies.